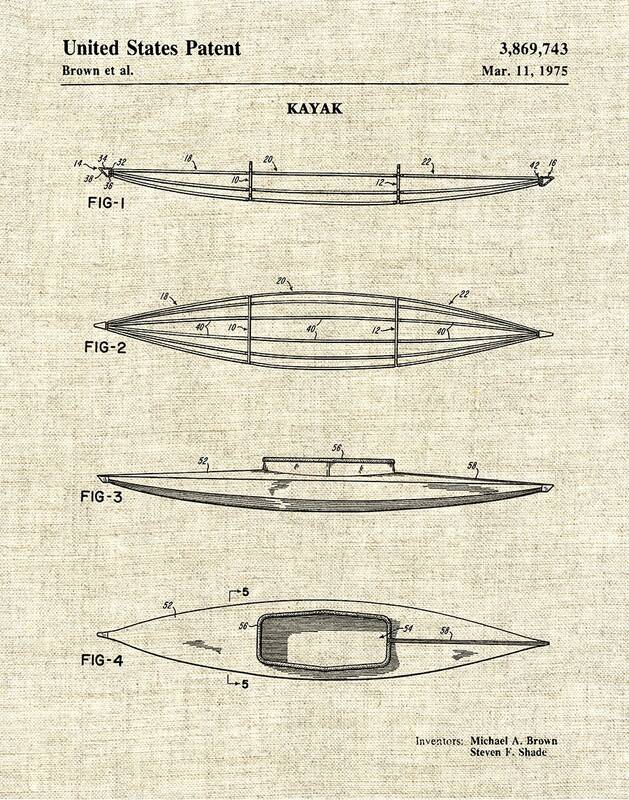 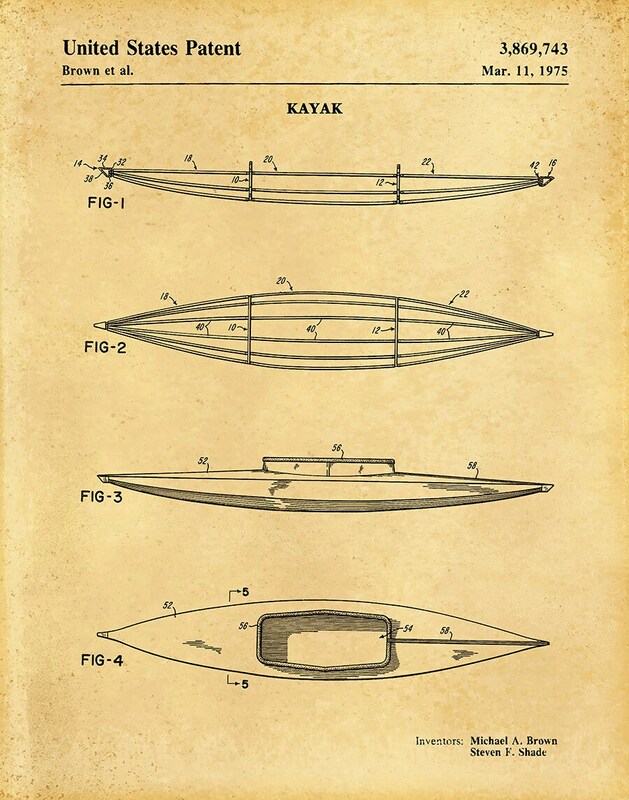 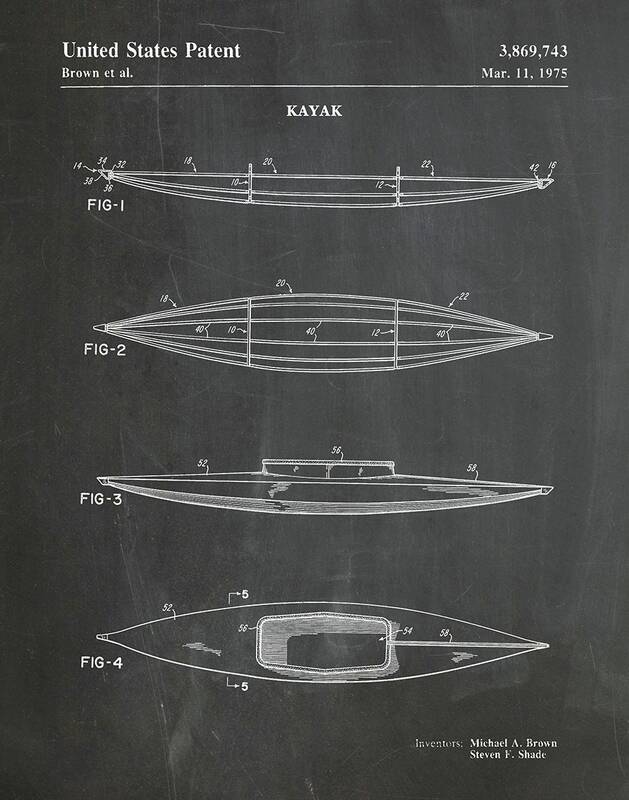 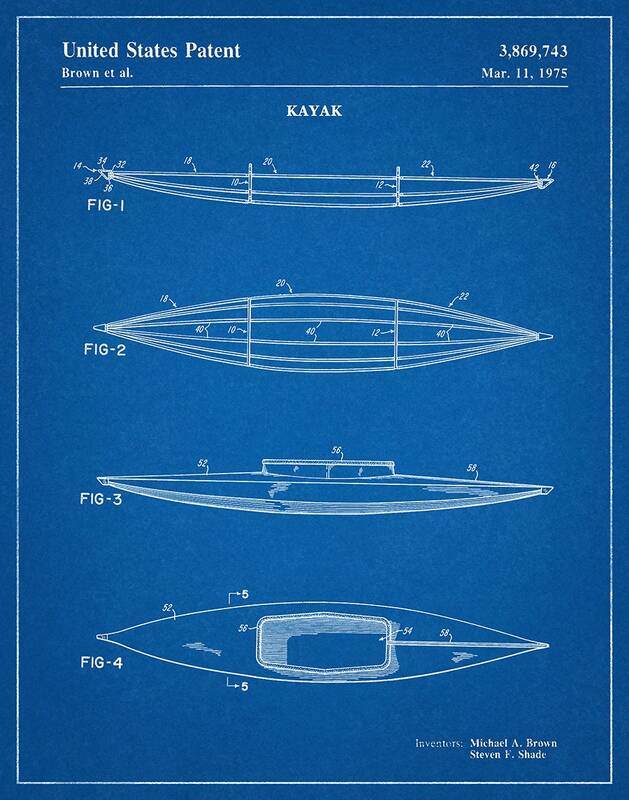 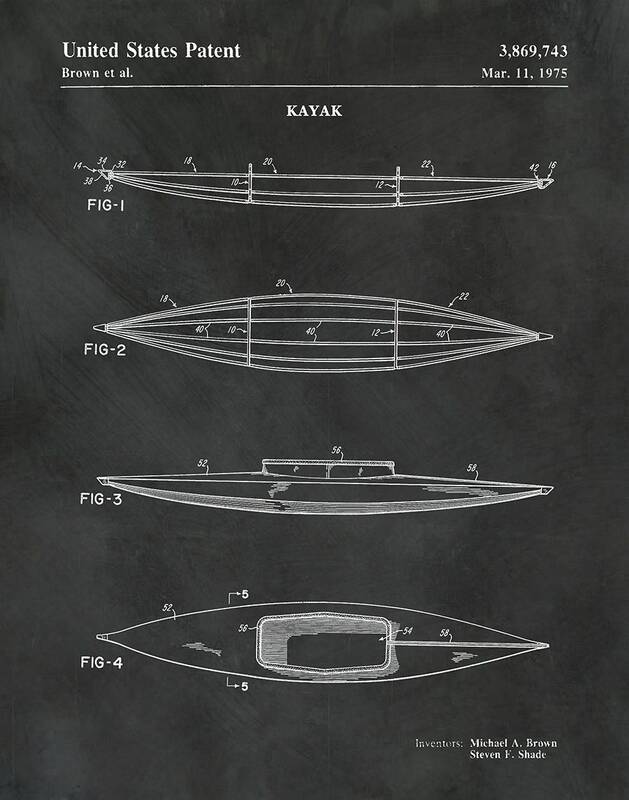 1975 Kayak patent print designed by Michael Brown and Steven Shade. 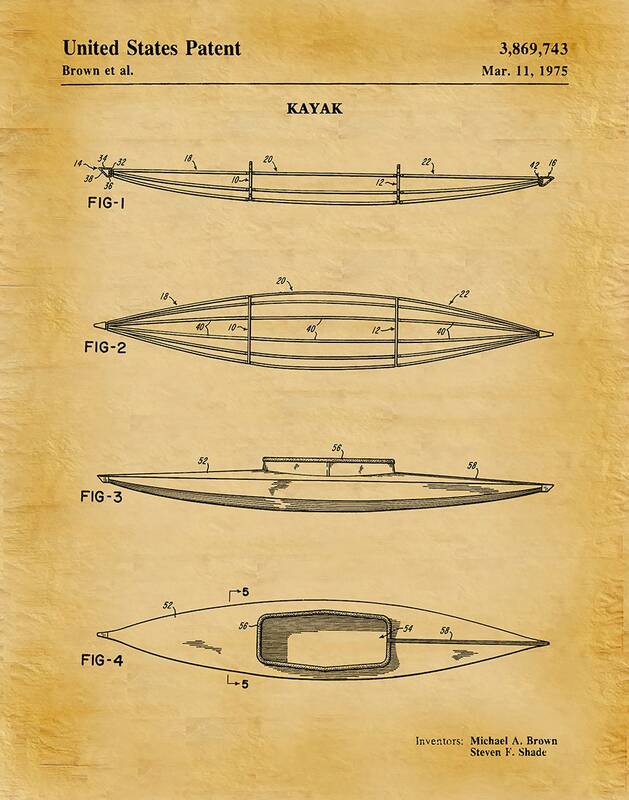 The United States Patent and Trademark Office issued the patent on March 11, 1975. 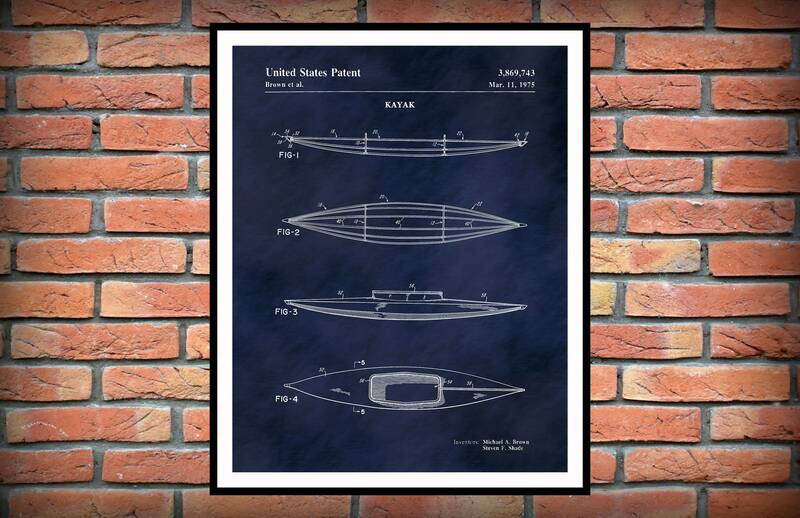 All patent and illustration prints pages are restored and digitally enhanced to remove as many flaws as possible while maintaining the integrity of the original document.